All rooms have capacity for 1 adult. All equipped with: TV, radio, mini bar, electronic safe, air conditioning, direct dial telephone, Internet access (wireless). Non-smoking rooms. 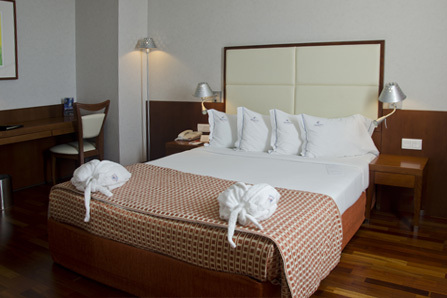 All rooms have capacity for 2 adults. All equipped with: TV, radio, mini bar, electronic safe, air conditioning, direct dial telephone, Internet access (wireless).